Oh my. I’ve written about how I don’t travel well. This has been an issue since I was on heavy medications. I suppose it started once I moved to NC away from CA. I don’t remember having this problem when I lived in CA. But for several years now and we’ve been here six years the problem has gotten progressively worse. When it first started—and the first time I remember it happening I was traveling to the UK to visit my husbands family—I used to double my Seroquel and Klonopin doses and knock myself out a couple of days after arrival to a desitination and eventually I would get back with it by the end of a trip. Of course since I started withdrawing seriously two years ago, I stopped taking additional PRN’s and the first few days of a trip were bad but they would eventually change by the end of the trip. However the beginning of a phobia started to be born. Because the first few days of the trip were so awful. Because of still being on drugs and very sedating drugs I do extremely poorly when I don’t sleep. The anxiety starts the night before I leave, so the day I travel is always bad. I don’t sleep that night. Tonight is that night in this case and it’s 3 am. I’ve just finished sobbing as I realize I’m developing a phobia and I’m catastrophizing about it’s implications. I’m basically having a full-blown panic attack. I don’t have panic attacks anymore in general, I still have your garden variety anxiety but it’s usually not too difficult to deal with and I just sit through them and often meditate. Generally that kind of anxiety passes within an hour or so. This panic is saying, “I will never be able to enjoy traveling again” and it’s making me feel stifled and limited. Tonight I awoke after sleeping about two hours and started hyperventilating. I’ve been anxious about this trip ever since I knew I was going to take it. My last few trips were all taken when my brother was dying and I was miserably ill on all of the trips because I did not sleep throughout the trip—I’m sure the more generic travel problem was exacerbated by the fact that my brother was dying and the emotional toll that took on me. The thing is I was much healthier physically then than I am now—my body could tolerate less sleep better then—but still by the last couple of trips I was pretty debilitated. I’m compounding my fear now with “knowing” that I will be especially miserable on this trip. My emotions are out of control. I am angry that my doctor has made me take this trip. (She is innocent and knows nothing of the difficulty I am facing.) I am angry that I cannot live a normal life in so many ways and that this is yet one more way that I have become woefully limited. I’m so angry. The anger is burning me up and it’s not a good thing. My life feels completely outside of my control. Anger is another emotion I need to learn to live with more constructively. After crying and hyperventilating, I came out to the couch and my husband came to see if he could help me. I just said, “I need to write.” This has become my lifeline. Writing to heal. This website is quite an inspiration on this topic. 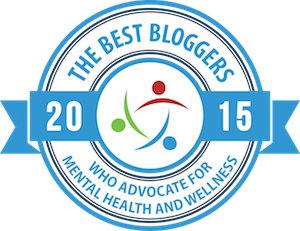 Susan at Bipolar Wellness Writer writes about it too. And Jazz at In Pieces whole blog is basically a celebration of writing to heal. I was asked to write a piece for ICSPP’s newsletter which I have done. It will be my first published piece. (On paper, that is.) Right now it’s rather ironic that the topic is about acceptance and mindfulness and how that is helping me deal with the flood of otherwise unwanted emotions that the drug withdrawal is unleashing on me. The withdrawal is also making me ill-equipped to deal with a problem that started while I was on the meds. Anxiety associated with travel. The fix pre-withdrawal was to take more drugs—to knock myself out for a few days. Now I only have my mind and nascent coping skills to deal with it. Writing is one of the ways I calm myself now and so here I am. I also meditate and do energy breaths, but when I’m in the condition I was in when I started writing this evening, really the only thing I can do is write. I will do my energy breaths and meditation once this is all out “on paper” so to speak. Someone who’s tried behavioral therapy with little success. Someone who’s tried cognitive therapy with little success. Someone who’s tried CBT with little success. Someone who is highly sensitive (HSP). Someone who has tried DBT (Dialectical Behavior Therapy— not just for Borderlines anymore) with very good success. Someone whose official diagnoses tend to confuse the psychiatrists themselves. Someone who needs very specific, relevant, and personal coping skills. I need so much help now as I make the final transition to be medication-free. It’s frightening. No, it’s terrifying to believe I’m on my own. Ah, words I could have spoken myself. I bought my book in August of last year when she wrote that post and I happened to finally pick it up about a week ago. It’s Buddhism presented in a palatable form for Westerners. Nothing in it is new to me but it’s being presented in a new way and I find it exciting. The whole idea of “being” with your emotions and feeling and not trying to change them is central to the teaching just as it is in Buddhism. Really it steals so much from Buddhism it’s almost an ethical lapse that they don’t say so explicitly, though they do say much is borrowed from Eastern disciplines that have been practiced for hundreds of years. I feel excited about implementing the ideas as put forward by Dr. Steven Hayes because, well, I’m a Westerner and that’s the target audience. I think that using a different vocabulary for ideas I’ve been studying and beginning to implement from Buddhism and general mindfulness theories will help me. At the same time, human beings demonstrate enormous courage, deep compassion, and a remarkable ability to move ahead even with the most difficult personal histories. Knowing they can be hurt, humans still love others. Knowing they will die, humans still care about the future. Facing the draw of meaninglessness, humans still embrace ideals. At times, humans are fully alive, present and committed. Amen and hallelujah. That is what I’ve been struggling to achieve for the last year without reading this book. It’s nice to see it in print and have more validation that it is indeed possible. The book goes into how it is backed by science and that it’s been verified successful in clinical trials, yada yada yada. I know in my gut that it works—don’t need the science, but some people do so good for them for demonstrating it. It’s Buddhism put into a palatable form for Westerners and I’ve seen meditation and Buddhism heal some of my friends online. This book talks about how all of life can be a meditation. It’s not at all just about sitting cross legged hours a day with eyes closed. This expands the popular notion of Buddhism and makes it more user friendly, though any good Buddhist knows that meditation is not about sitting all day long as well, but I think that idea puts off people who don’t have a deeper understanding of the discipline. Anyway, I’ve been reading the book for about a week and now I know I must start doing the exercises and get serious. Granted I don’t have the problem I’m facing now every day. I have it when I travel, but I refuse to become completely phobic about traveling. Traveling has traditionally been my favorite thing to do. I have to stop this process in its tracks. I will travel successfully again. It might not happen on this trip, but I simply won’t let my life continue to get limited in this way. Forgive me if this piece is not properly edited. I am writing in the middle of the night and I will be leaving tomorrow morning. I will now prepare myself for a few more hours of sleep with my energy breaths and meditation. Good night. 1. Stop thinking about all the trips when you felt anxious. It’s a form of rumination and will only make you feel more anxious. 2. One of the ways to do this is through breathing exercises. I know you know about meditation–even though you may not be doing it. But when you start feeling anxious, you need to stop the negative self-talk and concentrate on the breaths. 3. You need to realize that this is very different from your trips to England and your trips to visit your brother. While you may be feeling anxious tonight, as soon as you’re done reading this, try and get some rest. If it were me, I would try to lie in bed and breathe slowly, concentrating on slowing down my thoughts. Although meditation suggests that you empty your mind, I would suggest that you think positively about this trip. 4. Just because you’ve been anxious on trips before doesn’t mean you need to repeat the behavior. If you allow your mother to drive, can you rest in the car? Do you have music you enjoy? Do you have relaxation CDs? I’m not sure how far you have to travel, but if you’re driving reasonable distances, do you have accommodations where you plan on stopping? Can you swim in a pool to relax yourself? Can you decide to let your mother help you to her greatest ability? Can you equate care and help with love and feel blessed that your mother is there for you? 5. Gianna, I believe that we have the ability to eliminate or lessen the impact of the stressors in our lives. We have the ability to change patterns of behavior. We have the ability to eat foods that sustain us. We have the ability to accept help when we need it. We have the ability to grow and change. You’ve made enormous strides since you’ve begun talking with this doctor. She can help you even more when you see her in person. This is an opportunity, not a punishment. Your brother would be supportive of what you’re doing. He would want you and your mother to have a wonderful time together. What would your brother say to you? How can your memories of his love for you sustain you? Know that I’m here for you during your trip. You can email me and I’ll respond. All my best! Everything that Susan said above! From the tone of your post above, it appears to me that writing out your fears and anxieties helps you deal with them. You seem calmer and more clear by the end of the post. Have you considered that the writing that you do when you are too overwhelmed to do anything else is also a form of meditation? Make sure you take a notebook and pen with you or a laptop with the battery charged so that if things do seem to start pressing in on you, you can take advantage of your ability to “write for your life”. Writing has pulled me through some horribly difficult things, and I think, whether you realize it or not, it is helping you, too. The human mind is amazing in its ability to create a phobic response out of a bunch of anxieties…but the human mind is also amazing in its ability to heal. I think you are well on road to that, and I think it’s good that you are taking taking this trip. Use all the tools you have at your disposal to make it a good one…and write, write, write your way through. You can do it! I believe in you! And like Susan said, email me if you need to. I’ll be around. I will be sending positive, healing thoughts your way. All the best to you on your trip to see your doctor. 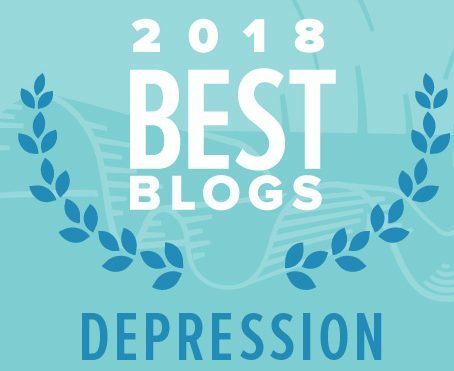 The advice from Jazz and the Bipolar Wellness Writer is sound advice. Also you are going to see a good doctor, if you present with symptoms of lack of sleep – I am sure she will make an assessment and be able to talk about this to you. The suggestion about meditation i like as it brings us back into the present moment. You will survive, you have already gone through nights with little sleep and have survived. Good luck, i will send good healthy thoughts of well wishing, tomorrow morning to you. Your doctor will see how you are and I am sure will help you out on this. I can really relate to this post, having had a complete and total meltdown a few weeks ago the night before we left for two nights in Virginia. A five hour car ride with a perfectly amiable and beloved companion, nothing to do all day but walk around the quiet historic town. I flipped because I didn’t feel well enough to go, but didn’t want to waste the money and ruin his trip. And when I say flipped, I mean…well, you know what I mean. Anyway, isn’t it ironic that the last day, when the trip was over, I felt better. That’s because the pressure was off, I knew I was coming home and didn’t “have” to have a good time anymore. I hold out as hope, though, a friend who became completely agoraphobic during her benzo w/d, totally stressed to the point of sickness if she had to leave her house. She has since finished her taper and is recovering nicely (I think a year and a half done or so). She recently took a pleasure trip to Las Vegas, of all places, and had a great time. There is hope. Great post my friend. I hope the trip is fruitful and much better than you thought. Peace…. Hi all….I’m at the hotel for tonight. I actually slept after writing the above post for a whole five hours…that was after sleeping two hours when I woke up—so I actually patched together 7 hours which was really great. Writing this post and then doing my energy breaths and meditation really helped and I slept in until 9:30 am. The drive today was not too bad, but I’m beat…. Thanks for all the wonderful suggestions. I took much of the advice. I’ve packed meditation CD’s, a floor pilates DVD, my journal, my computer and a couple of books. Brought a bathing suit too, but the pool at this hotel is indoors and I can’t handle the chlorine smell…it’s really bad. I need an outdoor pool. Maybe tomorrow I can swim. Pat you story of your benzo friend who was almost agoraphobic going to Las Vegas is wonderful!! I would never want to go to Las Vegas, but boy would I like to be well enough that it wouldn’t phase me!! Just try to stay in the moment, and all will be well. I can really relate to all that has been said, as I just recently returned from an 8-day trip with relatives. Over the years, I have adjusted a bit from the stress, but I seem to automatically be tense and anxious. I like to examine my life and my reactions to life events. It appears that I may not like the lack of control when traveling with other people. Most adults do not like to swim or hike as much as I. I’m fearful that they will keep me from these activities. I grew up in poverity. My parents never spent any money on eating out or vacations. So, since I’m a parent, I probably think it is wrong to enjoy myself by going on a vacation or by eating out. I enjoy travel and eating out mostly when it is connected to business. Despite my anxiety and fear, I manage to just push myself along, one step at a time. With experience, I’ve learned that I really can do what I have to do. I do not have to back down due to fear/anxiety. This was mostly taught to me in Recovery, Inc. I can’t take credit for it. Anyone who goes to Recovery, Inc. can achieve all that I have.